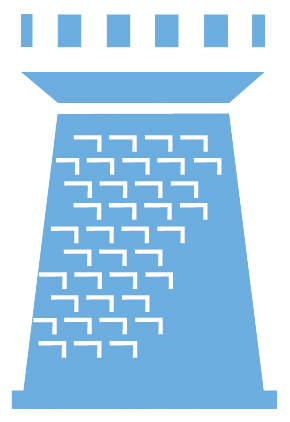 Every symbol holds special meaning to the community that embraces it as part of its unspoken vocabulary. The full, strident tones of the bell were prominent signals used by early exchanges to communicate the beginning and end of trading – the sound was distinct, clear, and loud. Originally, gavel and gong were the symbols that heralded, publicly and officially, the start and end of the trading day. Bells were introduced when continuous trading was instituted in the 1870s. Distinct from the frenetic chatter of trading, the ringing of the bell measured time for each trading day in many organized financial exchanges across the world. 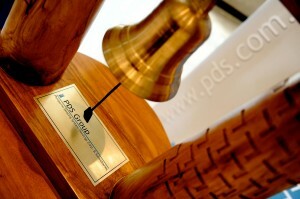 In the Philippine Dealing & Exchange Corp. (PDEx), the Bell holds a conventional significance at Listing Ceremonies. The ringing of the Ceremonial Bell signals the entry of a new investment instrument to the marketplace where the community is called to come together to bear witness to a milestone event. The trading community and the issuer’s representatives flank regulators in an event hosted at the organized market, putting together in a single place those that herald the milestone. And the bell rings at the exact moment the newest investment instrument enters the roster of investment opportunities in our market. Being a young market, just having opened our corporate community’s securities to the investor base in 2008, every new investment opportunity is a cause for celebration. And the abundance of ringing will be our signal of continuity and the growing synergy between issuers who supply opportunities for investors, and investors who assure issuers of the sustainability of the market. The Bell has come to symbolize the coming together of the community and the celebration of new events in our market. It resides as a fixture in our premises in between ceremonial functions, a constant reminder of our call to bring the community together and ring new opportunities in our market.